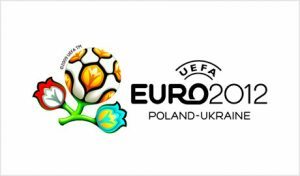 On the May 13th, teh UEFA named four Polish and four Ukrainian cities as venues which will host the EURO-2012, the European football championship. Yet, the Ukrainian government is hasitating to capitalize on the opportunity, many Ukrainian football fans admit. Ukraine will have to meet very demanding expectations as for the conditions of the infrastructure of the Ukraine’s capital, Kyiv, if it wants to host the EURO-2012 final match. So far, UEFA has decided not to confirm Kiev as venue for the final match of UEFA EURO 2012. UEFA stated that the final EURO-2012 match will be held in Kiev only if specific conditions with regard to the stadium, airport infrastructure, regional transport and accommodation are met by 30 November 2009. Generally, the Euro-2012 has given Ukraine an opportunity which certainly matches its top level in the European football league — Ukrainian Shakhtar football club won the last, thus very historic UEFA Cup just recently. Ukrainian football players are playing for top European football clubs. The best known of the Ukrainian football players, Andriy Shevchenko has played for the Italian Milan FC and the British Chelsea FC after his triumph at Dynamo Kyiv. Many Ukrainian football fans admit though that the commercialization of the national clubs and football in general has limited the opportunities lately for the local Ukrainian players due a growing number of professional players being bought from foreign football clubs, particularly in Brazil and Africa. The high level of private football clubs management in Ukraine however does not mean the same level of the Ukrainian government’s commitment to the preparation of the EURO-2012. The private sector is just watching for now how the main infrastructure projects will evolve and if, at all, Ukraine’s capital, Kyiv, will be able to secure the right to host the EURO-2012 final match. Otherwise, the venue might be reconsidered in favor of the Polish Warsaw. And, while EURO-2012 is a great PR opportunity for Ukraine, any capital infrastructure investments in the times of economic turmoil can bring back the stability and provide a solid foundation for the country’s further development beyond the football games of the 2012. The 2012 UEFA European Football Championship, commonly referred to as Euro 2012, will be the 14th European Championship for national football teams sanctioned by UEFA. Poland and Ukraine will be the host nations of the final tournament, scheduled for mid-2012, following the selection of their joint bid by UEFA’s Executive Committee, on 18 April 2007, in Cardiff, Wales.